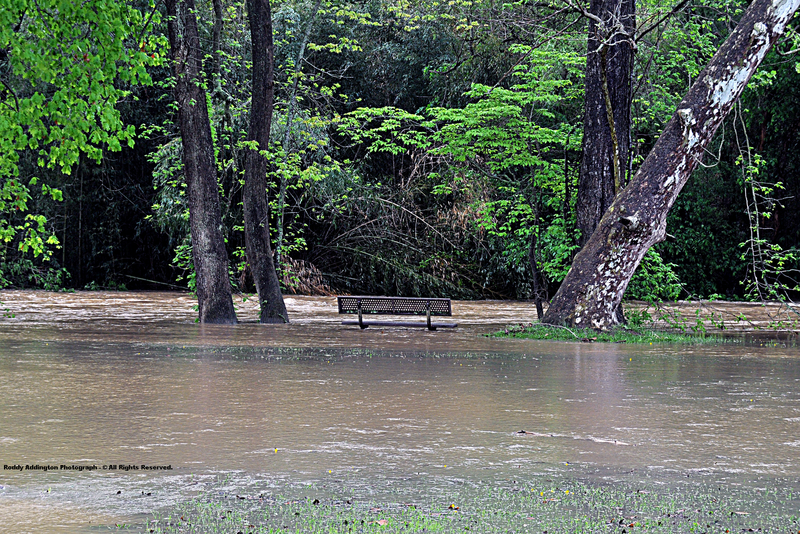 A metal bench is stranded amid flood waters, as the heaviest rainfall event of 2010 opened the month of May with flash flooding along creeks draining the High Knob Massif. 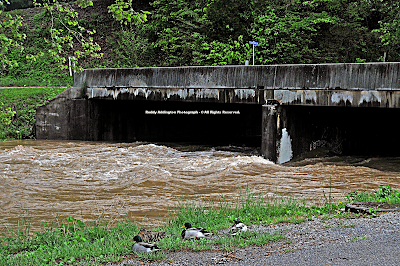 The above photographs were taken by Roddy several hours after the official crest had been registered on the stream gage in Big Stone Gap, where the Powell River came up 5.5 vertical feet from the level observed early on May 1. 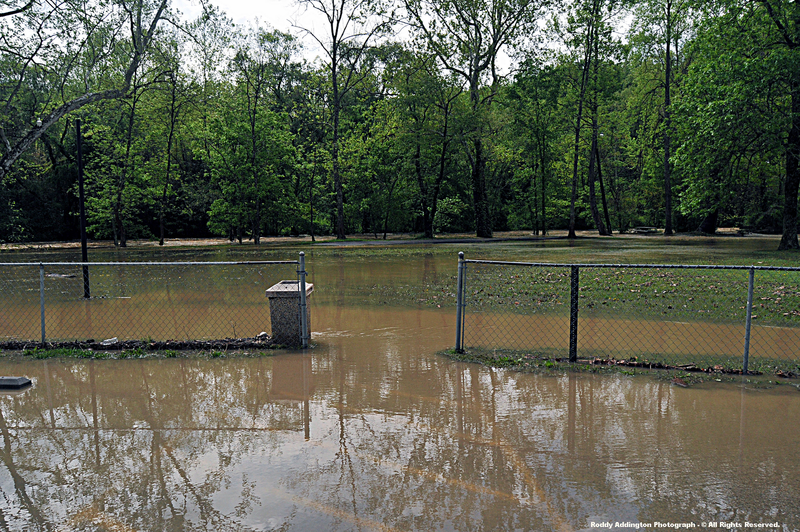 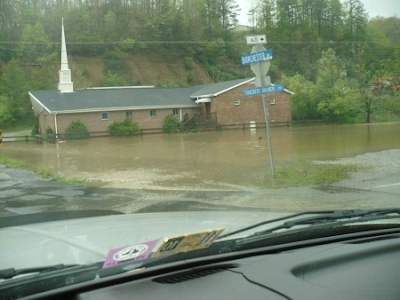 While nothing like flooding which struck western portions of the Tennessee Valley, local high water levels were frightening to many and renewed memories of past flood events. 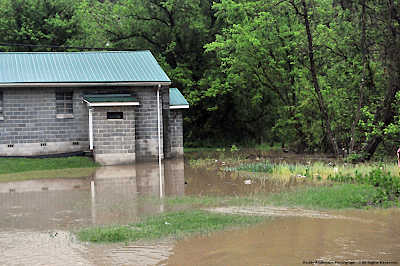 Rainfall totals reached a max of between 5.00" and 6.00" in the High Knob highcountry, with my friend Gary Hampton measuring 5.28" in the NWS rain gauge at Big Cherry Dam. 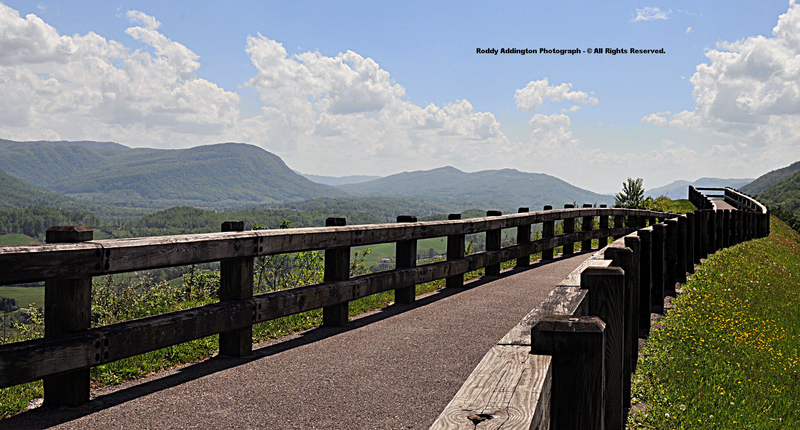 the Cracker Neck of Powell Valley in Wise County, Virginia ). Although some damage did occur to property and roads, it was not as severe as storm event totals might suggest since rain fell with two main waves during the night-time hours of May 1-2. Torrential rains after the fall of night are both the most dangerous and frightening, since many historic flash flood events and losses of life have occurred amid darkness! 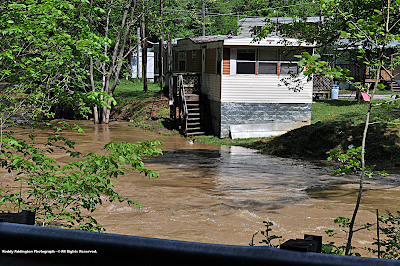 Flood waters were just too close for comfort to many residences, with rapidly flowing water having been up against the underpinning on the mobile home below ( prior to receding to this level ). 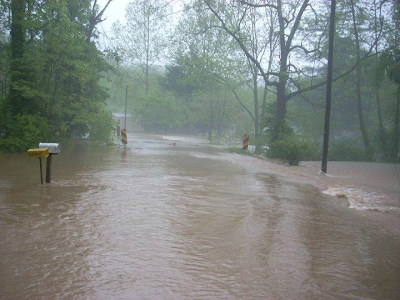 Long Ridge of Sandy Ridge: 2.97"
City of Norton Water Plant: 3.42"
Appalachia Lake Water Plant: 3.52"
Robinson Knob of High Knob: 3.52"
Pennington Gap Water Plant: 3.63"
Big Stone Gap Water Plant: 3.89"
Big Cherry Dam of High Knob: 5.28"
Minor flooding was also observed into portions of northern Wise County and Dickenson County. Main-stem river flooding occurred along the Powell River of the High Knob Landform, with a crest in Jonesville of Lee County of 18.94 feet at 6:45 p.m. on May 3. 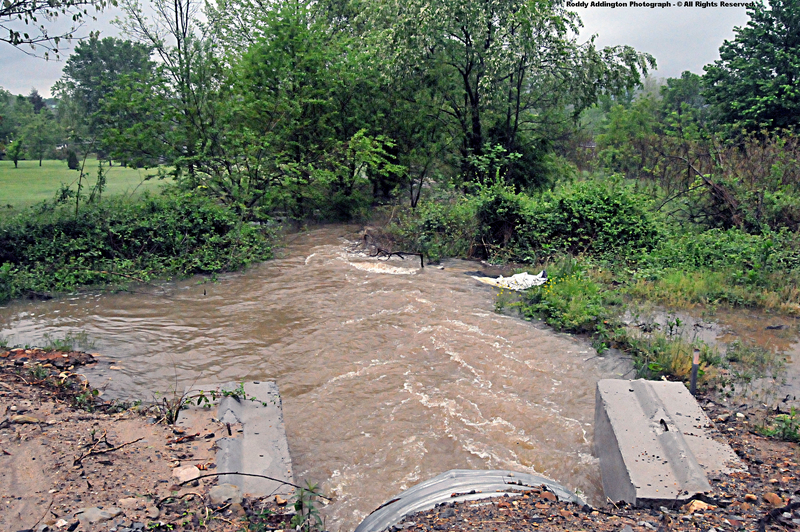 That crest represented 16.5 vertical feet of water rise from the level observed early on May 1, and a volume of 12 times that observed late on May 6. 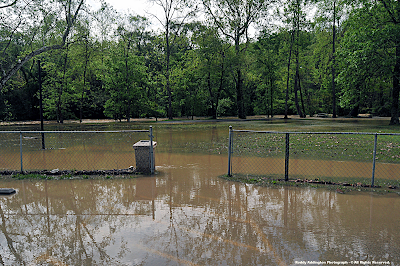 A crest did not occur until May 4 into northern portions of Tennessee ( toward Norris Lake ). 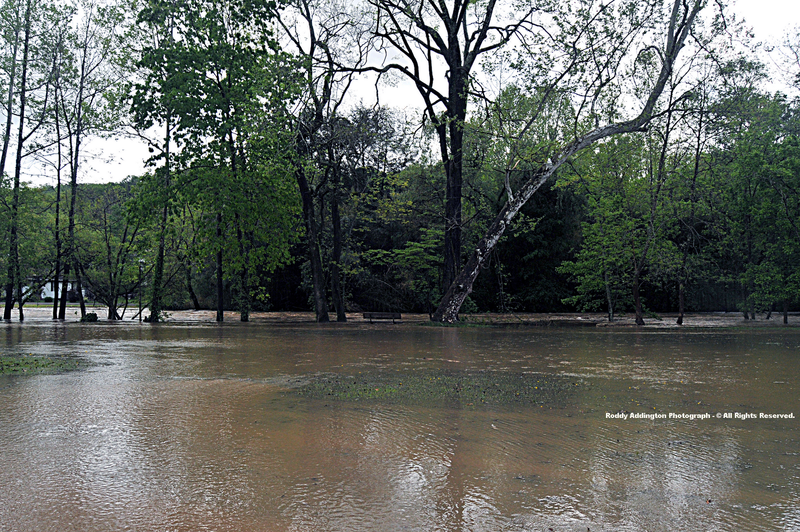 Main-stem flooding along the Clinch River was more minor, but rises were impressive with a crest of 16.32 feet in Speers Ferry at 5:15 p.m. on May 3. 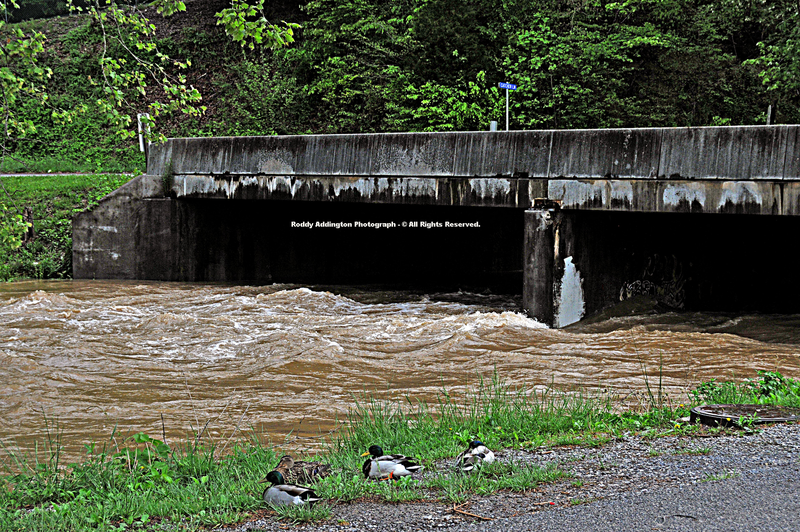 That crest represented 12.0 vertical feet of rise from the level observed early on May 1. Flash flooding in northern Scott County was most significant on steep creeks draining the High Knob Massif, like Big Stony Creek and Cove Creek, which gushed out of the high country on May 3. 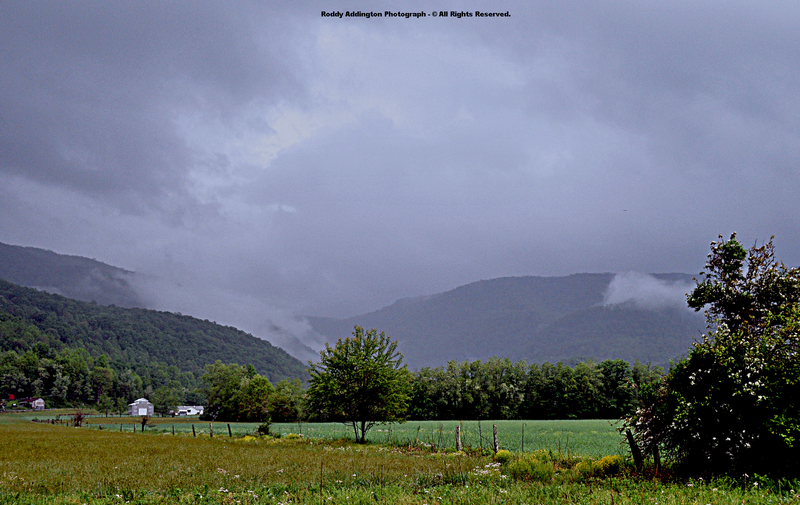 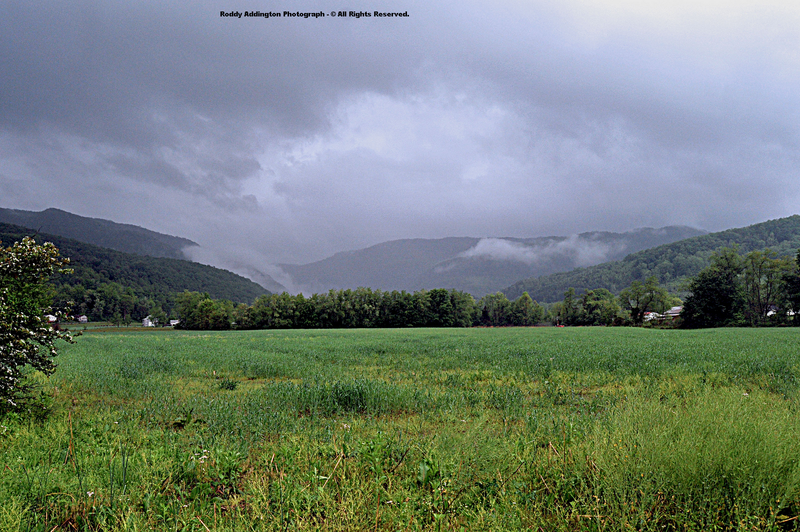 Low hanging clouds and final showers obscure portions of majestic South Fork Gorge of the High Knob Massif, rising ruggedly above lush fields in Powell Valley of Wise County. Despite a below average spring precipitation pattern, moisture has remained abundant enough to keep Big Cherry Dam overflowing its spillway throughout 2010. 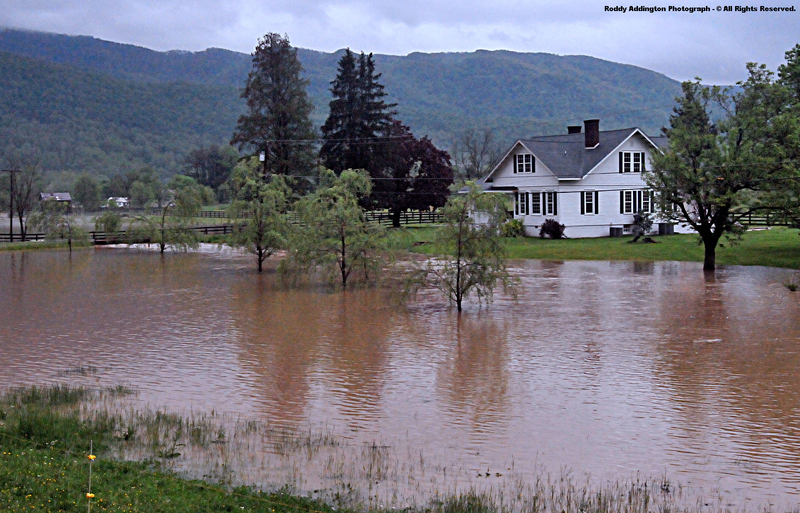 *Denotes approximate rain gauge total, with significant losses during the harsh winter of 2009-10 when the rain gauge froze and busted at Big Cherry Dam. 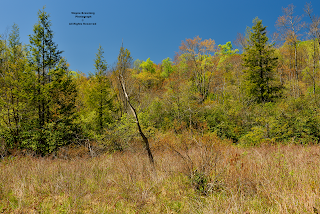 ( M ) - Denotes that total precipitation was greater than rain gauge total, especially during the 2009-10 winter when 150" to 200" of snowfall was observed across the main crest zone of the High Knob Massif ( above 3000-3500 feet in elevation ). 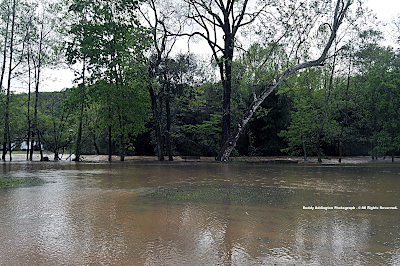 It is most important to note that above totals for Big Cherry Dam do not account for any of the wind induced rain gauge losses in rain or frozen precip types, and do not account for the very significant amounts of secondary moisture received from fog drip off trees and rime deposition on trees. Big Stone Gap Water Plant in South Fork Gorge.